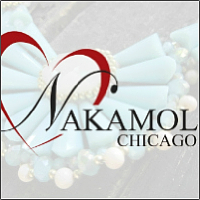 This Chicago-based designer Nakamol blends the exotic colors and natural beauty from her root, Thailand into the sensitive and chic style created from her art & soul. 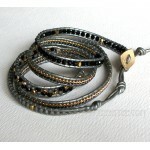 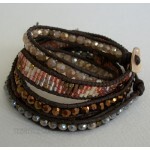 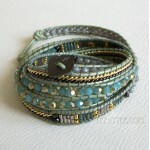 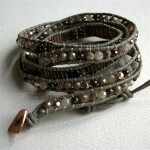 Using natural stones, metal, silk and leather, her jewelry gives you a lot of fun as well as happiness and comfort. 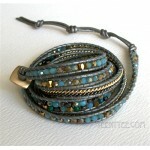 All jewelry is hand-crafted. 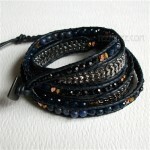 5 Wrap up Mixed Beads with Leather Bracelet / Dream color, Light gray leather SALE $49..
5 Wrap up Mixed beads and Braided Chain with leather Bracelet / Midnight Blue (Navy) & Gunmet..
5 Wrap up Mixed beads and Chain with leather Bracelet / Black & Grey Version SALE $49 (R..
5 Wrap up Mixed beads and Chain with leather Bracelet / Blue & Green Version Our price :..
5 Wrap up Mixed beads and Chain with leather Bracelet / Blue & Grey Version Sorry, sold o..